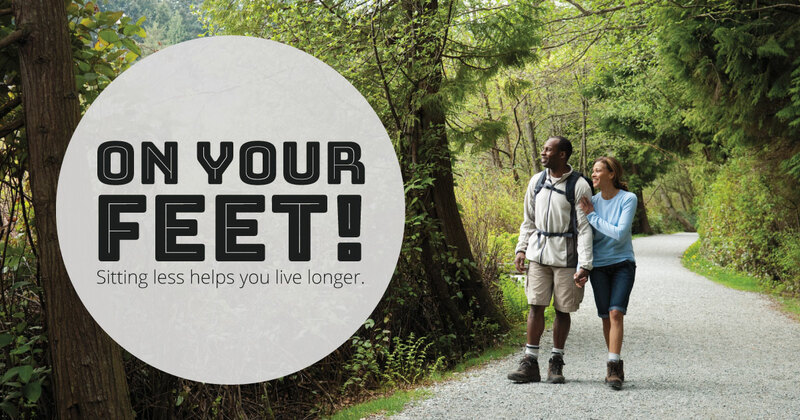 April 16, 2019—If you get very little exercise, even 30 minutes a day of activity could help you live longer. In fact, replacing a half-hour of sitting time with moderate to vigorous exercise could cut your risk of premature death by nearly half. Those are the findings of an American Cancer Society study published in the American Journal of Preventive Medicine. The study looked at the activity levels of more than 92,000 people over a period of 14 years. For the least active people (less than 17 minutes of exercise a day), the benefits were clear: Even light exercise lowered the risk of premature death. And the more vigorous the exercise, the greater the benefit. One key to seeing results: It was important that participants replaced sitting time with active time. It was that change that made the difference. People who were the most active didn't lower their risk of early death by adding extra light activity to their day. According to the American Heart Association (AHA), research links inactivity and sitting too much with an increased risk for heart disease, type 2 diabetes, colon and lung cancers, and early death. Get at least 150 minutes a week of moderate aerobic activity. Spread out, that's 30 minutes a day on five days of the week. Add muscle-strengthening activity on at least two days a week. Inspired to move more? To find solutions to your exercise roadblocks, take our assessment.